Taking Your Workout To The Next Level: Incorporating The Principle Of Pre-fatigue! For those of you who have been working out for a while now, you might be finding that you're no longer progressing to the next level. Well if you would like to change that and are open to suggestion then read below about the pre-fatigue principle. For those of you who have been working out for a while now you might be finding that you&apos;re no longer progressing to the next level and are having a hard time staying motivated to keep up with your training. This is a common occurrence among regular exercisers as their body adapts to the stimulus you are placing upon it and no longer sees the need to grow stronger. It is during these times that we need to come up with a way to shock our body, provide a new and challenging stimulus to place upon it and get it responding again. Applying the principle of pre-fatigue may just be the answer you are looking for. In most weight training programs, you begin with large compound muscle movements that call into play major muscles groups along with some stabilizers and work your way towards more concentrated movements to really target a specific muscle. 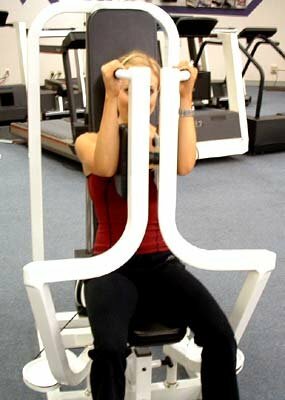 This allows you to lift the heaviest weight possible on the major lifts since you are fresh and ready to go. Pre-fatigue is basically doing the exact opposite. What you do here is begin with a small isolated movement to fatigue a particular muscle group that may be stronger than the assisting muscle groups. Often, when we are performing a compound exercise, many muscles are called into action. Take the military press for example. This action targets the deltoid muscles, as well as the tricep muscles. Now, you may have very strong deltoid muscles but may be lacking in your tricep strength, so when performing a military press, you may push as much weight as your triceps can handle, however, more than likely if they were stronger you could handle more weight since your deltoid muscles are still quite a bit stronger than the triceps. To solve this problem, you would first begin with an exercise that strictly concentrates on the deltoid muscles. By doing this, you fatigue your deltoids slightly, so then when you go to do your military presses, your deltoids and triceps now have the same relative strength. This way, when you choose your max weight for your military press, it will be a weight that will be challenging for both your tricep muscles and your deltoid muscles. One consideration with this training method however is that you must be sure not to completely fatigue your muscles on the first isolated exercise. If you do this, you won&apos;t have any strength and energy left to complete the more compound exercise and could set yourself up for injury. Precaution should also be taken as this is a more intense type of training and without proper program planning could lead to overtraining. For example, if you normally don&apos;t work your triceps with your chest, you need to ensure that you have sufficient rest after working your triceps before going to chest as the triceps are an assisting muscle to most chest exercises. 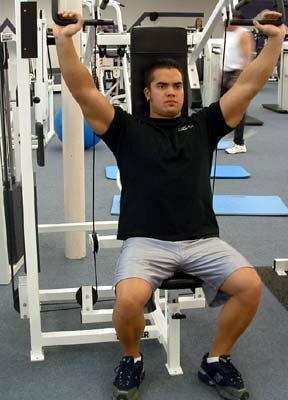 If your triceps are still not fully recovered from their previous workout, you will be digging yourself into a deeper hole since in most people, their chest muscles can lift much more weight than their tricep muscles, therefore pre-fatiguing the chest to a point where they are only as strong as your triceps, which have not fully recovered would be a very difficult task to achieve. Another method of incorporating pre-fatigue into your workouts is using a type of superset method. In the previous protocol you would complete an entire group of sets for a particular muscle before moving on to complete all your sets for the more compound exercise. In this method, you would perform an isolated exercise for the stronger muscle group and then move directly to a compound exercise and complete a set of that. This would mean your stronger muscle would be basically completing a compound set, which is a high intensity type of training. Since they would be partially worked in the first set, they would have a level playing field with the weaker muscle during the second set. After completing this superset, you would take a minute or so of rest to let both muscles recover and then complete the process once again. Since this is a more intense type of training, you probably will only want to incorporate these principles into your workout for a couple of weeks at a time. It&apos;s a great method to really shock your muscles and try something new to keep your workouts interesting. Be sure to include a good amount of time between each of your workouts to ensure all your muscle groups that you plan to work are recovered and are functioning at their best. Performing leg extensions before squats. 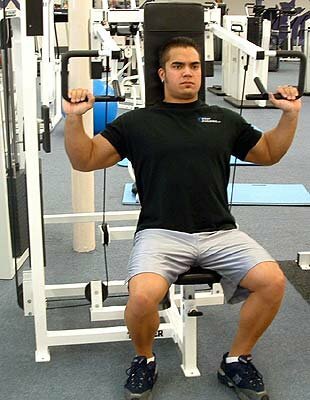 Performing pec flyes before bench presses. Performing lateral raises before military presses. Performing bicep curls before pull-ups. Performing hamstring curls before lunges. Another option is to apply this principle to your core by performing an abdominal workout before your other workouts. Since the abs are a stabilizing muscle group in almost all free weight exercises you do, pre-fatiguing them before hand will cause you to &apos;damage&apos; (create micro tears) them even further when you perform your lifting session afterwards. Great For Pre-Fatiguing Your Core. This method is better suited to more advanced lifters however, since maintaining a strong core is essential to performing with proper form and the prevention of injuries, you need to really understand where your body needs to be throughout your exercises and know when you are at risk for misalignment (which will lead to an injury). So the next time you are looking for something to spice up your workout or give you muscles a little bit of a kick and get them &apos;feeling&apos; it again, try incorporating pre-fatigue exercises into your workout.